Since January 2014 when we first unveiled Remo MORE @CES, we’ve stayed focused on providing simple, effective multi-device management for home users. We started as device maintenance solution, then we took it to Cloud to provide remote multi-device management from a single screen. As our user base kept growing we kept adding new features making Remo MORE a complete multi-device management solution for home users that brings parental control, anti-theft features, location tracking and device maintenance under one roof. Since the launch, we are constantly improving the solution based on our internal research and the feedback users have provided. 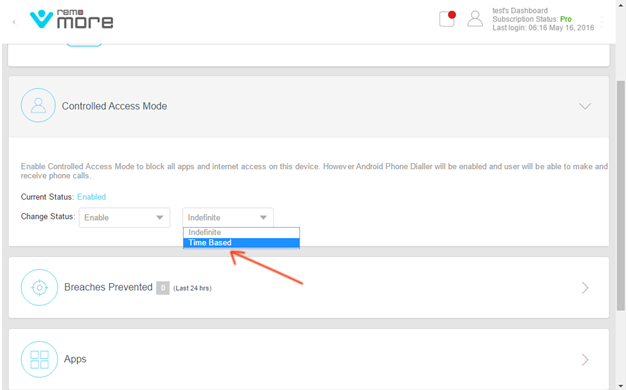 We encourage and value the feedback users provide and with that we were able to implement several useful features and the latest addition is a new feature called: Controlled Access Mode. 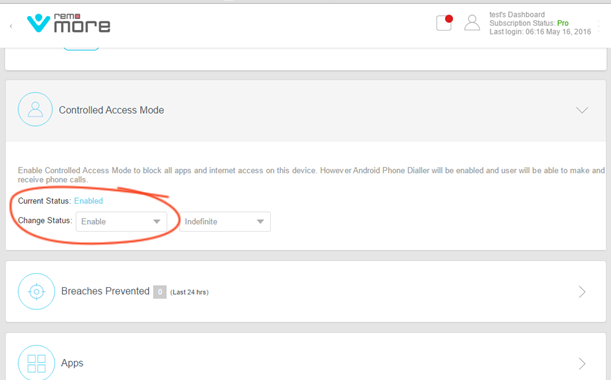 With the existing blocking, feature users were allowed to block only specific apps & websites, with this new feature now users are empowered to have even better control on the devices they manage. giving access to only what is good for your child. 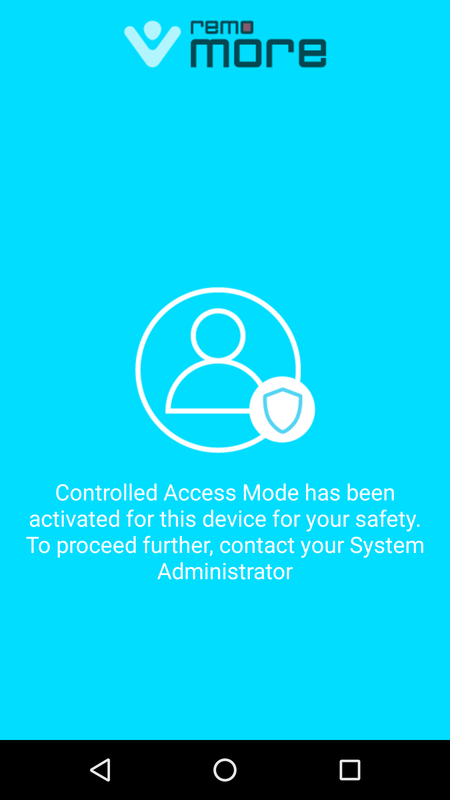 With the Controlled Access Mode, now users will have a complete control on kid’s device, the app they use and how much time they are allowed to spend on their devices. Users can block child’s cell phone & tablets, leaving only dialer accessible. 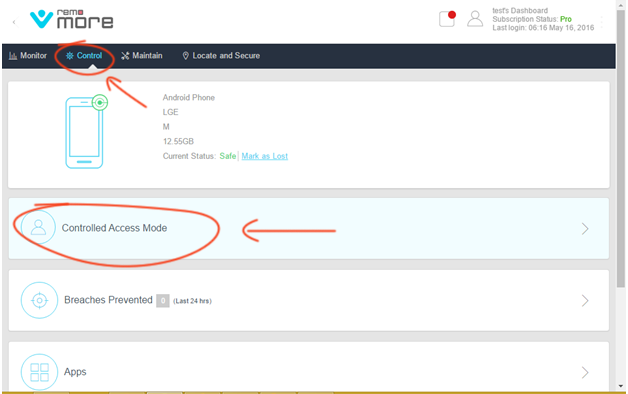 Here’s some key benefit of Controlled Access Mode. For Smartphones, it block all third party apps that distract your kid, reduce their productivity and kill their childhood. According to a research it is found that teens spend more than six hours a day on their smartphones. Controlled Access Mode allows restricting kids from using those “shut up toy” apps to eliminate distraction so that they can focus on what parents want them to do. In Android smartphones, this powerful app can block all the apps leaving only phone dialer open for making and receiving calls. In iPhones, this feature will allow accessing the only apple provided apps, not any other third party apps. For Laptop and computers, it lets kid work with only default apps. For example- in Windows PC, kid can access only Microsoft build apps such as MS Office, Notepad, Paint. The same is true for Mac machines too, in Mac only default apps provided by Apple are accessible. In a world of countless messaging apps and social media sites, Remo MORE eliminates the risk of cyber safety by blocking messaging apps and social media sites. With Controlled Access Mode users can block messaging apps like Skype, Microsoft messenger, FaceTime etc. and can even block complete internet activity. In Android smartphones, all internet browsers will be blocked. In Windows PC, all browsing apps will be disabled (including Microsoft Edge). In Mac machine, it will allow launching safari or any other browser. 75% parents in U.S are concerned about the long hours their kids spend with devices. We have provided solution for that too. 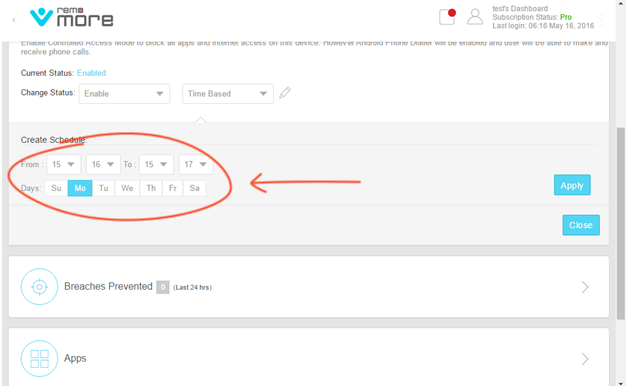 With the new update now you can activate time-based lock on the child device. We are excited that the updates are already live. From the beginning Remo MORE has been special for us – we always welcome your valuable feedback. We’d love to hear how you want Remo MORE to help. If you have not tried Remo MORE yet: Claim your one month Free Subscription Right Now.